This was taken at Thorney Island not far from where we live. 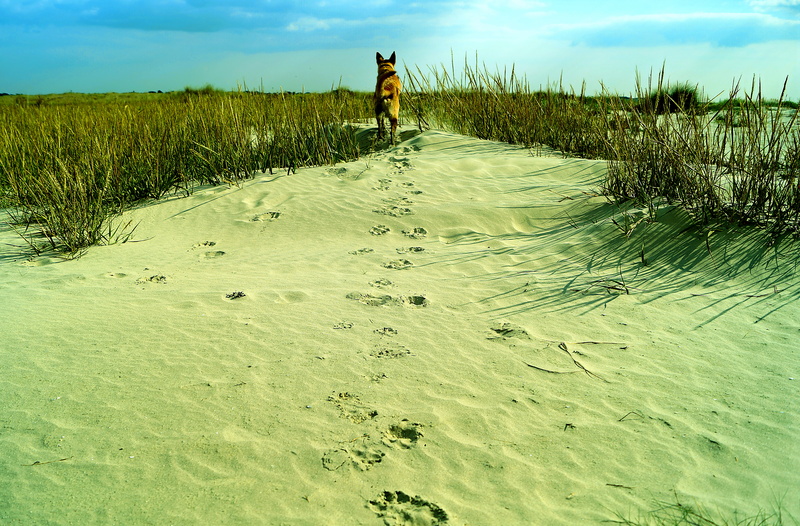 This is our friendly and excitable mutt – Madge kicking her way through the sand dunes. Posted in autumn, beach, photography, sandTagged autumn, beach, dog, photo, sand, thorney islandBookmark the permalink.